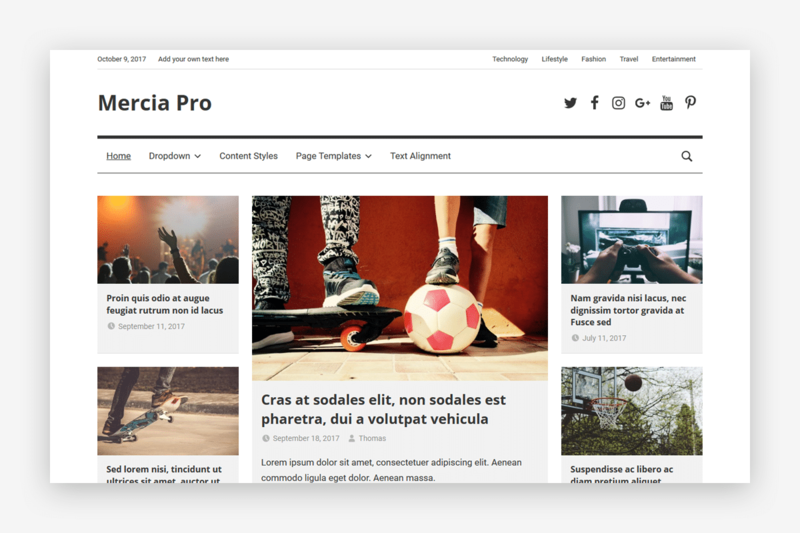 I’m very happy to announce that our newest WordPress Theme called Mercia is now live in the WordPress.org Theme Directory. The theme is built with the newest CSS Grid layout technology and uses a smart mobile-first layout. Mercia is a flexible and versatile theme perfect for lifestyle, travel, or fashion magazines. It features a modern and minimalist design with great typography. Of course it works on all screen sizes. With multiple blog layouts and powerful Magazine widgets, you can easily create a stunning and dynamic news website in just a few minutes. 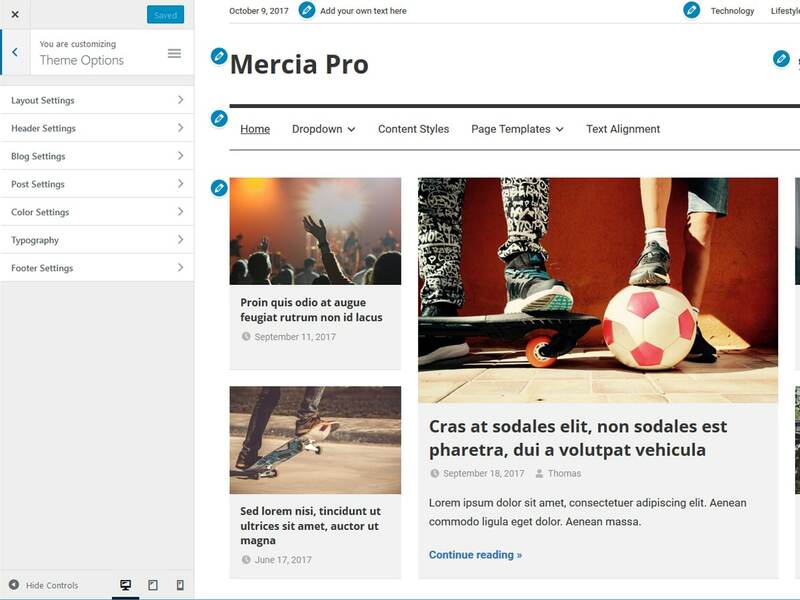 Mercia includes very flexible yet easy-to-use theme options in the Customizer. If you need more features check out the Mercia Pro add-on plugin. The add-on extends the basic theme with custom color options, typography settings, footer widgets, and additional navigation menus.